Chikkajala is called a pre-historic site by the Archeological Survey of India (ASI) monument list. The discovery of burial grounds in Chikkajala led historians to date the place to 1000 BC. It houses a fort, temple and a lake. 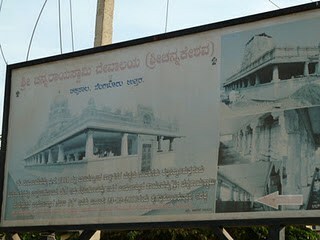 A signboard proclaims the existence of a temple in Chikkajala. Pic: Uma Bharath. When we visited Chikkajala on Sunday, 25 Dec 2011, we were shocked to see that NHAI was demolishing part of the fort for road widening. The work had started couple days ago. Earlier there was also a proposal to move the Bangalore Turf Club (BTC) to the lakebed in Chikkajala, which was stayed by the High Court. Chikkajala fort getting demolished. Pic: Uma Bharath. This village is on NH-7, Bengaluru International Airport Road. It is 24kms from Majestic and 6kms before BIAL. The historic Channarayaswamy (Channakeshava) temple in the village is believed to be 950-years- old, built by Hoysala king Vishnuvardhana (1). Chikkajala Fort, an abandoned vassal fort in ruins, is part of the Revenue Department. The beautiful temple inside Chikkajala Fort. Pic: Uma Bharath. There were reports of the tourism department making it a venue for a light and sound show and part of a three-place circuit, including Muddenahalli (birthplace of Sir M Visvesvaraya) and Devanahalli (birthplace of Tipu Sultan) to showcase Bangalore’s rich heritage. Does Bangalore, the IT capital have no place for its past? Are there no conservation plans that apply? Who is responsible for this lapse? Local authorities caught napping or the NHAI or some unknown third actor? Couldn’t this have been handled better? What’s the guarantee we won’t lose more of our collective past – like the fort gates that went missing without a trace? Indeed an irony of sorts, that this unfortunate incident has happened the same year that Bangalore has added a ‘Heritage Museum’ to showcase its past! 1. Source: Multiple City, writings on Bangalore, edited by Aditi De, Penguin, 2008. What comes to mind when you think of dragons? Do you summon up images of the mythical beings that belong in the realms of fantasy? 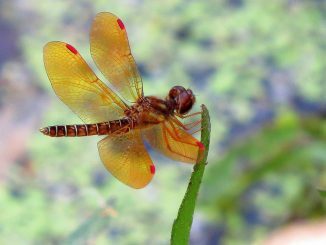 Or do you picture those creatures with shimmering wings, only to look up and find them flying overhead. BBMP’s discredited financial state of affairs and lack of internal audit since 1964 is not news to anyone. However, even after CAG’s scathing findings of 2011, there is still no clarity on a return to timely and comprehensive audits. Anjan Kumar please give me your number or mail me at athishravikanth@gmail.com or sms me at 9035069917. I was the temple on 01 August 2012 and I am exited to develop that temple. Already discuss with few like minded people for funding and can be arrange easily. All I need is a little local support and detail information about that temple. Hi, i am from the same place and this fort has very interesting qualities like Kalyani, temple etc. Recently Govt was thinking about making it into a Tourist place to showcase bangalore history by light & sound show, which was really a nice idea. But suddenly this demolishing act starts.